This year’s Canadian Research Data Centre Network (CRDCN) conference was held in Hamilton from 17–19 October. Its title — “Building an Inclusive, Prosperous and Healthy Canada: What Can We Learn from the Data?” — was irresistible from a labour market information (LMI) perspective. Most presentations focused on health issues, but several labour market–related topics included the aging population, unemployment, and wage disparities. A variety of administrative and linked datasets were used in presentations. For instance, Tammy Schirle from Wilfrid Laurier University used 1965–2015 data from the Canada Pension Plan (CPP) to show life expectancy by distribution of earnings. Byron Spencer from McMaster University presented the age–income dynamics over the life course by using 1982–2012 data from the Longitudinal Administrative Data (LAD), a longitudinal sample of tax filers. Sweetman and Rana show that Canadian-born benefit recipients receive more at young and middle ages than at older ages, whereas the opposite is true for immigrants. They speculate this is due to the fact that younger immigrants are healthier than their Canadian-born counterparts. The poster presentations also provided some great insights. Xavier St-Denis from Statistics Canada looked at intergenerational income mobility by linking the Longitudinal and International Study of Adults (LISA) and the T1 Family File (T1FF). University of British Columbia’s Jeffrey Hicks evaluated the effect of part-time work on EI beneficiaries using Employment Insurance (EI) administrative data. Statistics Canada’s Rose Evra, from the Social and Aboriginal Statistics Division, linked data from the Longitudinal Immigration Database (IMDB) to the Longitudinal Survey of Immigrants to Canada (LSIC) to show the income trajectory of new immigrants. Using administrative datasets and linking them together or linking them to survey data is of growing interest among researchers. Such studies offer a number of strengths, but do come with some caveats. Compared to survey data, administrative data provides more coverage plus longitudinal observations. 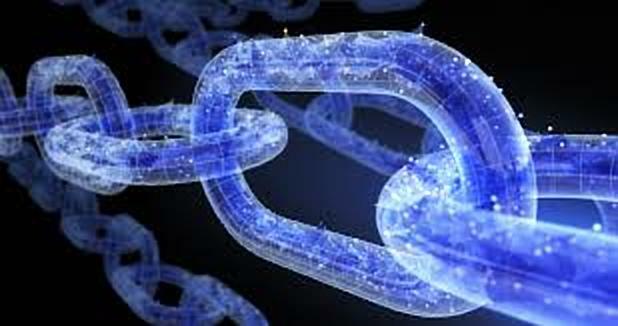 Linking datasets through the microdata linkage program allows researchers and decision-makers to combine the advantages of different sources and improve the timeliness and reliability of information. A variety of cross-sectional or longitudinal analyses are possible as a result, depending on the nature of a linkage. The following table lists the seven newly approved microdata linkages with related labour market information. See also StatsCan’s full updated lists (beginning in January 2000) of approved microdata linkages and their Directive on Microdata Linkage. Linkage between the Census programs, the Longitudinal Workers File, the T4 Files and the T1 Family Files. Estimating labour market indicators on reserves using the Census programs and administrative data. Linkage of Agriculture and Agri-Food Canada businesses from 2008 to 2015 to the Linkable File Environment of Statistics Canada. A list of firms of businesses provided by Agriculture and Agri-Food Canada (AAFC) for the period 2008 to 2015 will be linked to the Linkable File Environment (LFE). Alberta Social Assistance (SA) demonstration project. Linkage of Alberta SA, T1 Family File, T1 Personal Master File, T1 Historical File, T4 file, Record of Employment, Immigrant Landing and Longitudinal Immigration Data. Historical data linkage of the 2011 General Social Survey (GSS) and tax records. Examining the relationship between family transitions and socioeconomic well-being. Characteristics and performance of firms that propose/file for bankruptcy in Canada. Linking data on imports, retail, wholesale trade and firm characteristics to determine how the enterprise-level performance responded to variations in the Canada–US real exchange rate during the period 2002–2014. Longitudinal and International Study of Adults: Linkage to Personal Tax, Business Register, Pension Plans in Canada, T1 Family Files and Longitudinal Immigration Database for past and current Census family members of survey respondents. Linkage of Social Insurance Number (SIN) linkage and tax-filing rates for families with children using the 2016 Census and linkage to the SIN registry. However, it’s not all good news. The number of variables in administrative data, specifically socio-demographic variables, are usually more limited than the ones in the survey data. In addition, administrative data is often available with some considerable lag, thus is often not as up-to-date as some survey data. And finally, while microdata linkages can be time consuming to generate and to protect confidentially, they provide a strong complement to traditional survey data collection methods. We must continue to push for more open data to build upon recent progress in linked dataset research. All linked microdata projects are accessible through the Research Data Centres (RDCs), the Federal Research Data Centres (FRDCs), and the Canadian Centre for Data Development and Economic Research (CDER). For LMIC, linking sociodemographic information with labour market outcomes can help enhance the availability of timely, local, granular labour market data. Moving forward, we will explore using various data linkages, including the Education and Labour Market Longitudinal Platform (ELMLP) (approved in 2016) to analyze the effects of different factors on labour market outcomes. Stay tuned for our upcoming research and products from LMIC on these and other topics.